The Flexifit Collection is made from 180 gram Polyester. 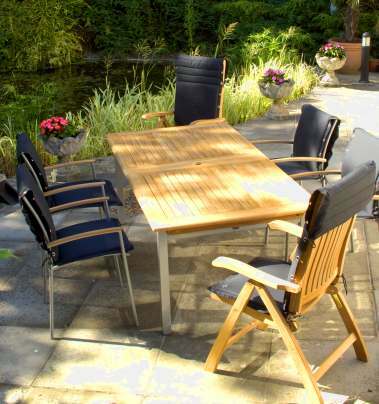 Exclusively designed by Glencrest Seatex the Flexifit cushion fits most garden chairs. This Flexifit cushion is flanged with a series of eyelets running down either side of the back to make adjusting the height of the cushion easy. All Flexifit cushions are embroidered with the Flexifit logo.